Cabinet maker I.C.A Jensen starts his own workshop in the centre of Aarhus city, Denmark. 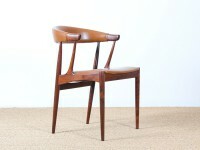 A traditional firm of furniture makers which gradually goes into the production of furniture designed by architects. The brothers Knud and Vagn Andersen buy I.C.A. Jensens's furniture company, and continue the proud crafting traditions. Brdr. 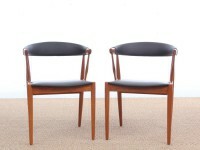 Andersen was founded on the basis of the existing furniture production. Brdr. Andersen moves to a new location in Risskov. The first piece of furniture in their own collection, the classic slatted sofa designed by architect Andreas Hansen, is launched. 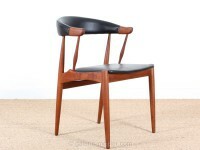 This also forms the start of a close collaboration with several Danish furniture designers. A decision is made to specialise in solid light wood, primarily ash, beech and oak. Brdr. Andersen becomes a member of the Danish Furniture-Makers' Quality Control. Brdr. Andersen becomes the first in Denmark to introduce an oval dinning table in solid, soap-treated beech. Exports are increased, and the furniture company obtains a good foothold in Germany and in the Scandinavian countries. The company doubles in size, and investments are made in CNC-controlled machines, which provide new possibilities in forming wood. The next generation of the Andersen family joins the company, to strengthen the sales- and marketing department. Closer links are made with a number of partners in the export markets, and exports are further intensified. From 1992 - 1997 the export is steadily increasing, and furthermore Brdr. Andersen is expanding their product line. In 1998 a targeted branding of Brdr. Andersen and the products are initiated. Brdr. Andersen is, due to the branding, experiencing a great amount of interest for both the company and the products. Zeta Furniture is secreted as an independent firm with its own brand, to handle the increasing interest from the contract market. A collaboration with furniture architect Ditlev Karsten is initiated, and a full range of sideboards and cabinets are created. Yet another step is taken towards a change in generation, and another son joins the firm to strengthen the finance and IT-department. Brdr. Andersen moves to brand new premises in Søften, Hinnerup, which once again doubles the company in size. Brdr. Andersen and architect Hans Thyge Raunkjær initiate a collaboration, and the FORUM-series is born. First a folding table and a meeting chair are introduced, and in 2010 the meeting table is launched. In colaboration with Karl Rüdiger og Tonny Glismand (firm byKATO) a table and a sideboard are launched, as the first of a range of products in the Bykato-series.